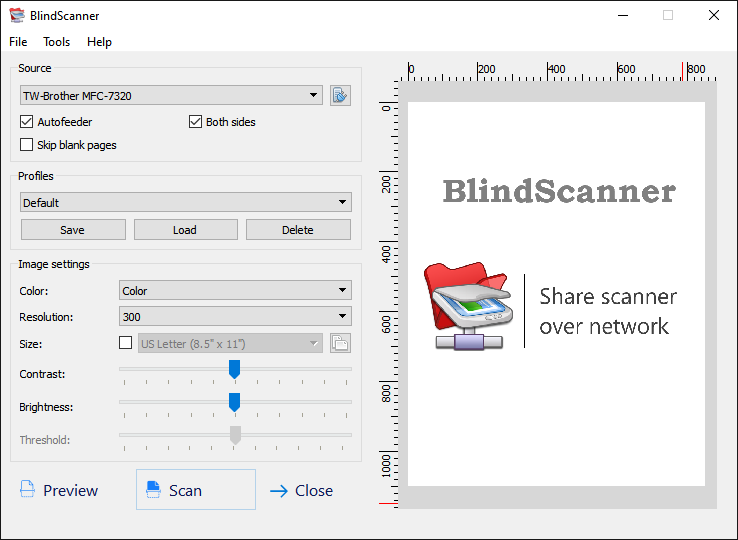 The BlindScanner Pro software will share and open access to a scanner on a given local area network that is not directly connected to your computer, but installed on a computer located in the neighboring room, for example. Easiness of use, saving to various formats, compressing images, scanning pages automatically, scanning multiple pages, supporting an automatic feeder - these are not all of the program features. Copyright © 2019 Masters ITC Software. All Rights Reserved.